The most devastating losses come with plane crashes. Often the cause of aircraft cases are mysteries, and must be examined from many angles. In tort law, not only do these bring traditional negligence actions, but also product liability. If the investigation proves the pilot did not error, than the exact culprit of the crash should be identified through what remains of the evidence. Often, attorneys rely on the Latin phrase and legal theory of "Res Ipsa Loquitor" meaning, "the facts speak for themselves." Ruling out pilot error, planes and aircraft do not typically malfunction unless some type of equipment was the cause. 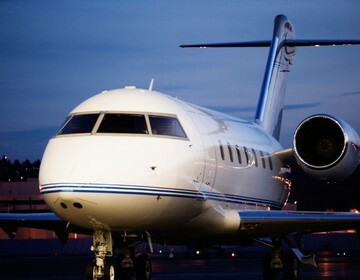 Jet aircraft are the most reliable transportation vehicles in the world. Small aircraft statistically do not perform as well, most likely because of faulty maintenance. It is important to look at all the flight logs, the hours, and the plane's specific maintenance records when investigating a crash. The duty of the lawyer becomes one of an investigator. Working closely with the National Transportation Safety Board (NTSB) and other agencies is extremely important in pin pointing liability. Las Vegas has its share of plane crashes: Cessna, King Air, Piper, and other small aircraft have all gone down in the Las Vegas valley. Occasionally, the missions flown into the Grand Canyon in Arizona become national headlines due to the crashes. Local operators fly thousands of trips into the canyon every year. The North Las Vegas air terminal is home to the majority of small aircraft traffic in Las Vegas. Many of the tour operators such as Scenic Airways have been sued for crashes in the Grand Canyon. The cause of such accidents are the result of pilot error (air speed, or lack thereof, bad weather), and engine failure. 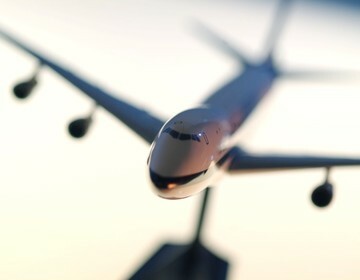 Benson & Bingham specializes in aircraft accidents and small plane crashes. Helicopter accidents are usually fatal. Again, the issue is pilot error verses equipment failure. Crashes of this sort need to be examined the same way as planes. Similar to airplane crashes, helicopter crashes are very common in the Grand Canyon area, as well as in Nevada. Often times aircraft personnel, including pilots and flight attendants, are victims of personal injury claims in Nevada, yet they live outside the region. Please see here if you are employed by an airline and were in an accident or are a victim to a personal injury claim. 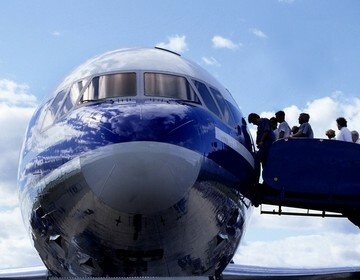 It is general knowledge that, statistically, you are safer flying in a commercial aircraft than driving your own car. However, aircraft accidents can and do occur; and, often times, the results can be tragic. Frequently, no one survives. If you or a loved one have been injured in a commercial plane, jumbo jet, small private plane, helicopter, or an ultralight, we will carefully and thoroughly examine your case and insistently pursue the full amount of financial compensation you deserve. In order to protect against such errors, the Federal Aviation Administration (FAA) sets regulations for aircraft, pilots, and aircraft manufacturers. The NTSB investigates every commercial and private aircraft accident. As the NTSB investigation proceeds, we will take action to ensure that evidence is protected from potential tampering. Also, aircraft accidents can be extremely complex. Many times, small plane crashes result in more complications than are present in larger, commercial plane crashes. This is because the causes involved can be very different. In most cases, the causes of general aviation crashes can be much less apparent than those of large commercial companies. Personnel experience, aircraft maintenance and record-keeping may exist with less operational rigor in general aviation than in commercial aviation, despite the fact that general aviation aircraft have a greater number of take offs and landings, because of the shorter distances they travel in flight. While the same causes, structural defects, pilots’ errors, maintenance deficiencies, design defects, air traffic safety controller decisions, and a host of other factors are often responsible, additional difficulties in the smaller plane crash investigations are compounded with the existing hurdles involved in any plane crash case. Often, the wreckage of a plane crash impact will obscure the cause of the accident as well. The airlines, aircraft manufacturers, and their insurance companies will have skilled attorneys on their side whose job is to minimize the amount of any settlement or verdict that may be rendered in favor of the injury victims. You should have strong, capable legal representation, too. The firm’s highly experienced aviation accident attorney staff members have successfully represented passengers and crew members involved in commercial aviation litigation as well as private aircraft, corporate jets and helicopter crashes. The attorneys at Benson and Bingham will fight to protect your rights. If you have been injured or if a loved one died a wrongful death in any type of aircraft accident, you may be entitled to receive financial compensation for the damages you have suffered. To discuss the specifics of your case, please contact us today. Have You Been a Victim of Post Traumatic Stress Disorder?